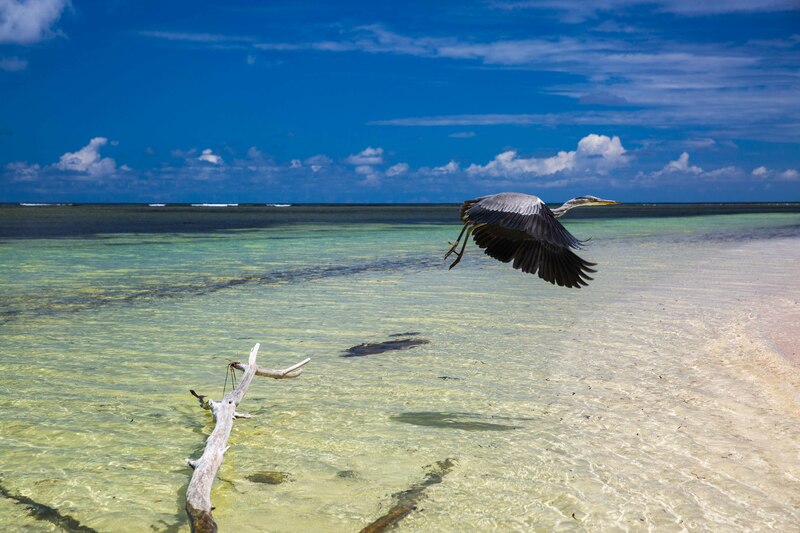 Seeing St Francois atoll for the first time usually makes a profound impression on all of our guests. 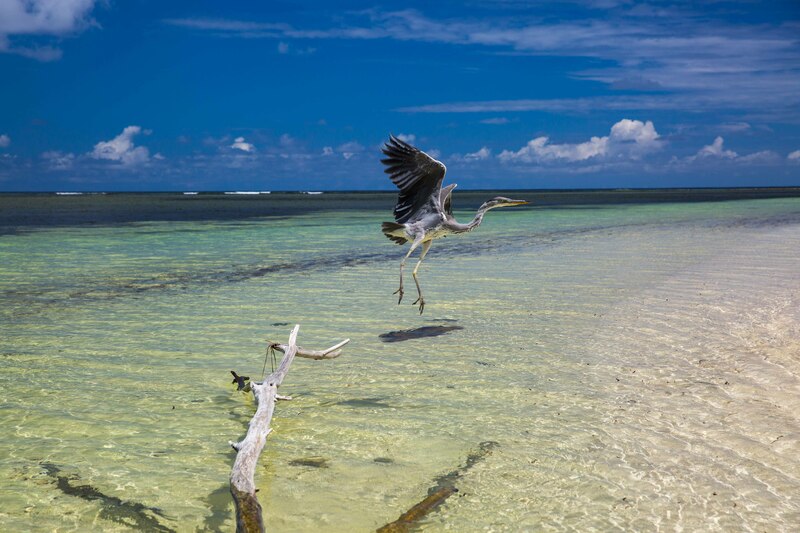 As you enter the lagoon a vast array of sand and seagrass flats open up before you each one as enticing as the other. 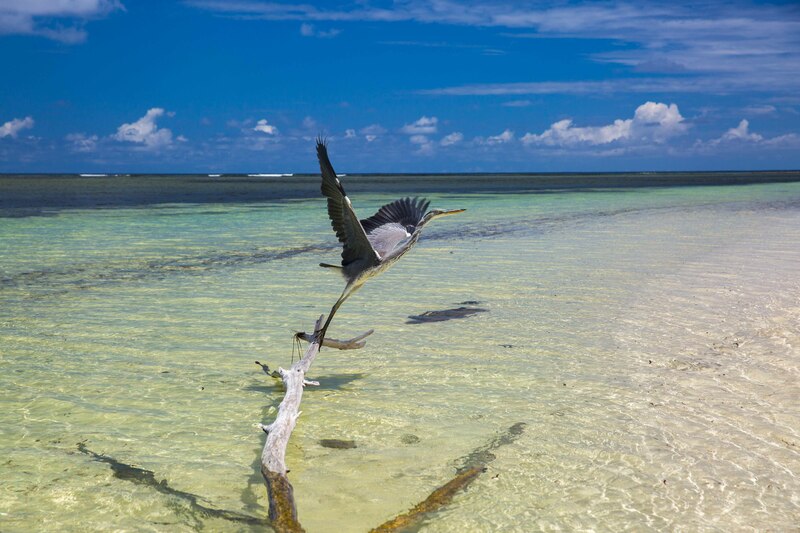 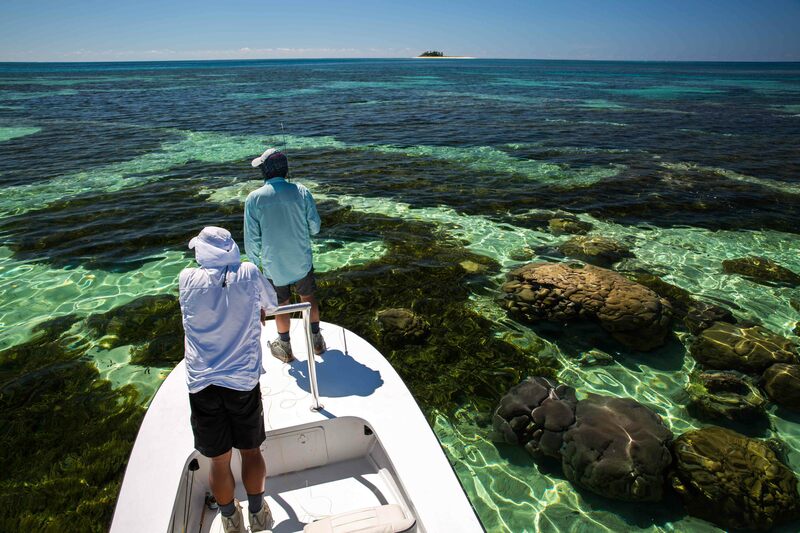 The unparalleled beauty of this atoll is almost as memorable as the actual fishing. 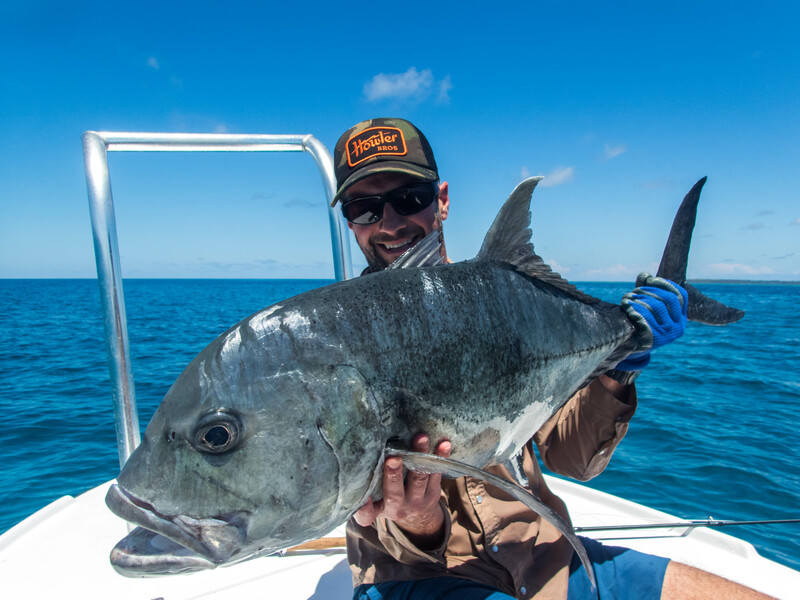 This week we were incredibly fortunate to have some of the calmest weather of the season with the wind speed dropping down to under five knots on some days. 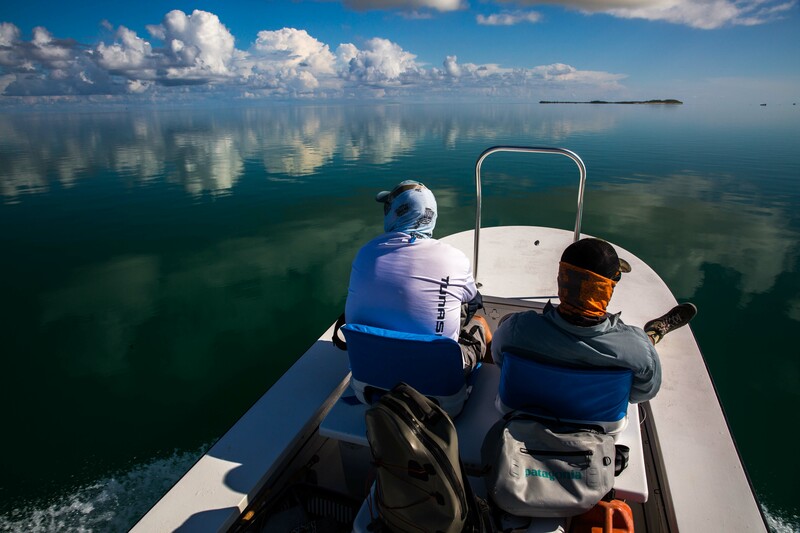 This combined with the slower water movement of the neap cycle resulted in outstanding water clarity both inside and outside the lagoon. 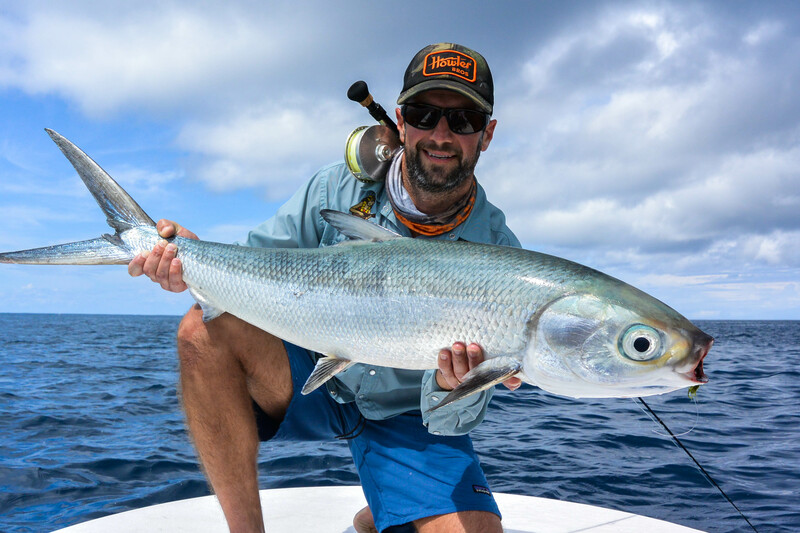 The calm seas also allowed for the formation of large scum lines in the deep which provided an ample food supply for the milkfish which began feeding close to the surface during the middle part of the week. 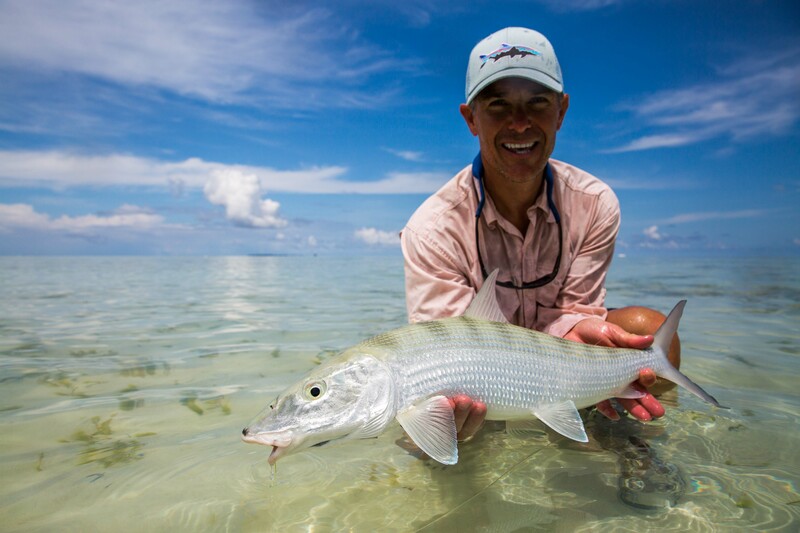 The tradition of “Bonefish Sunday’”was upheld this week by Michael P. who got off the mark by joining the 20+ bonefish club and starting the contribution to a total of 363 bonefish caught for the week. 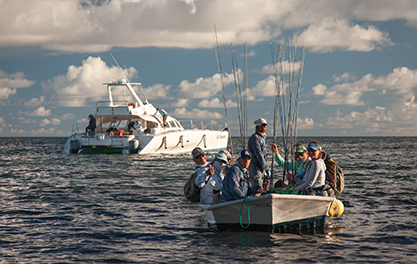 However for many it was more of an unorthodox introduction to the fishery. 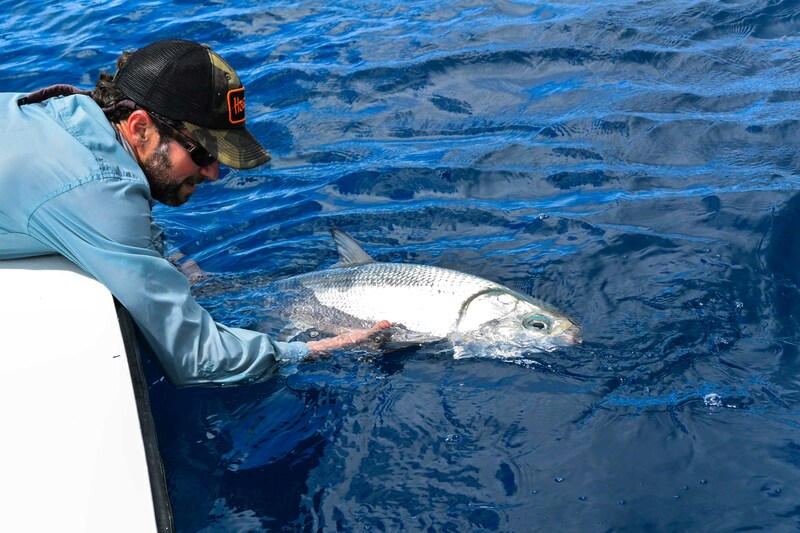 Cole C. went straight for the biggest and baddest fish on the flats managing to land a beautiful 82 cm GT. 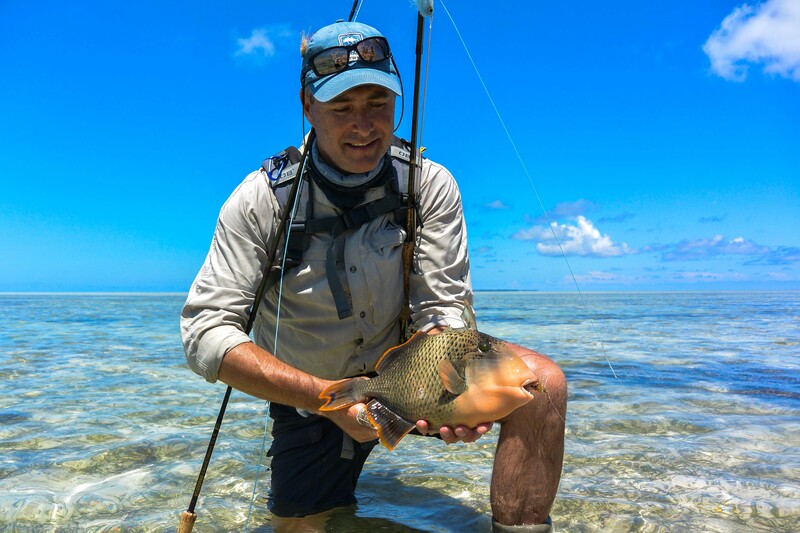 Mark J. also bypassed the bonefish on the first day and picked up a nice yellowmargin triggerfish. 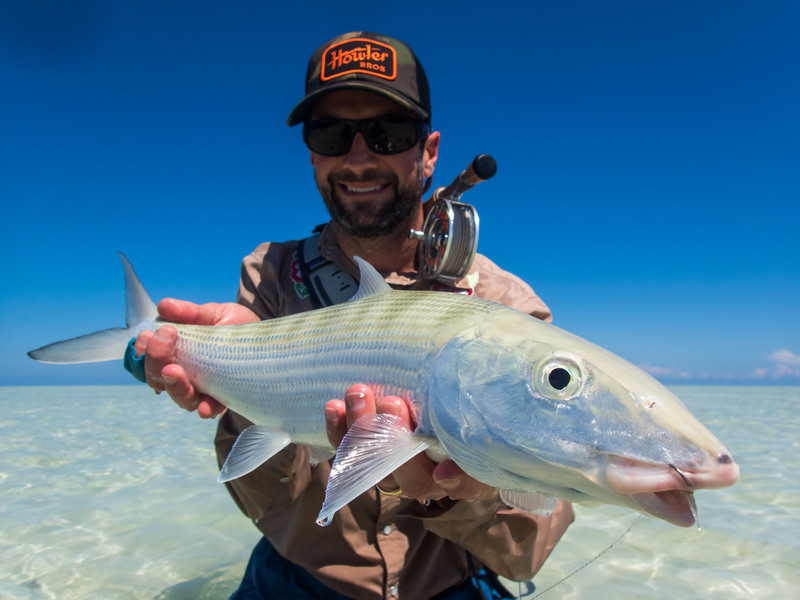 A special mention goes out to Chris D. as it was his first time saltwater fly fishing , which resulted in his first ever bonefish as well as a fantastic GT at the close of day one. 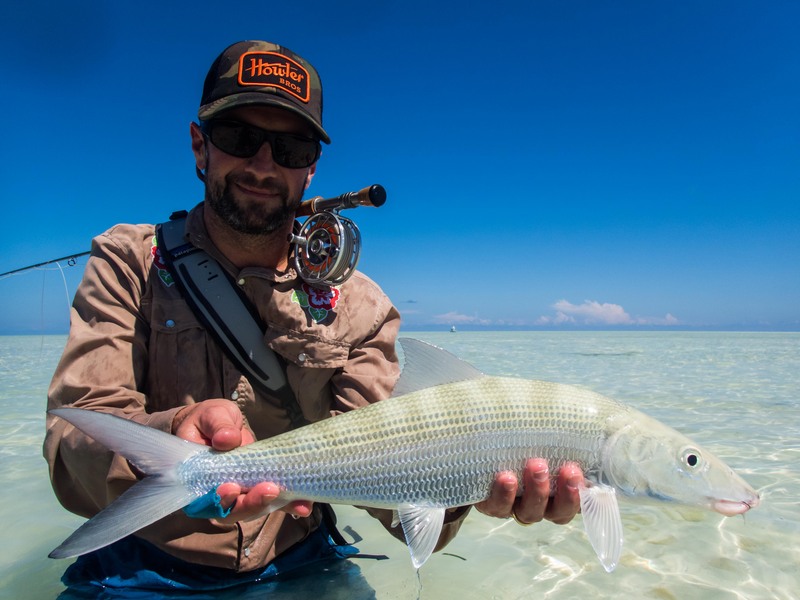 Chris also had a chance to fish St Francois lagoon midway through the week where he got his fill of bonefish catching more than 20 in one session. 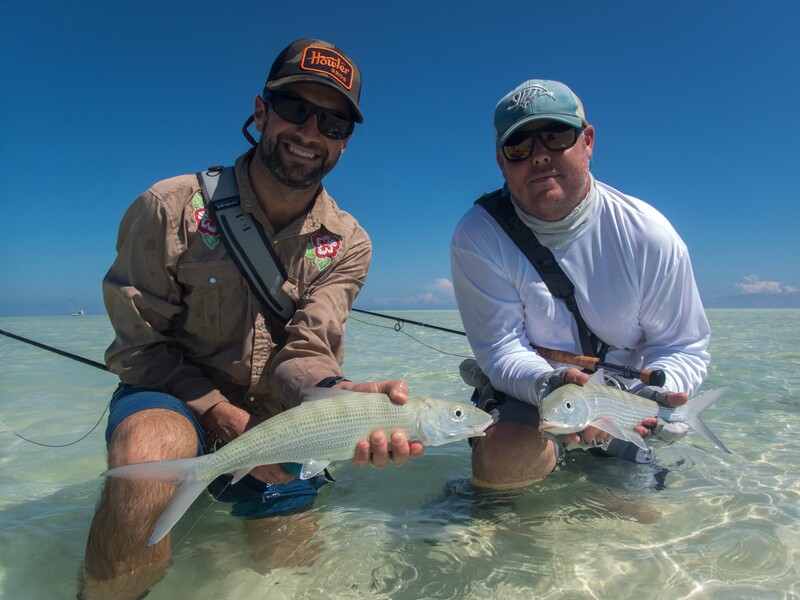 Also joining the 20+ club this week were boat partners Lake T. and Wesley S. – On top of their large numbers of bonefish they both managed to land some very special trophy fish. 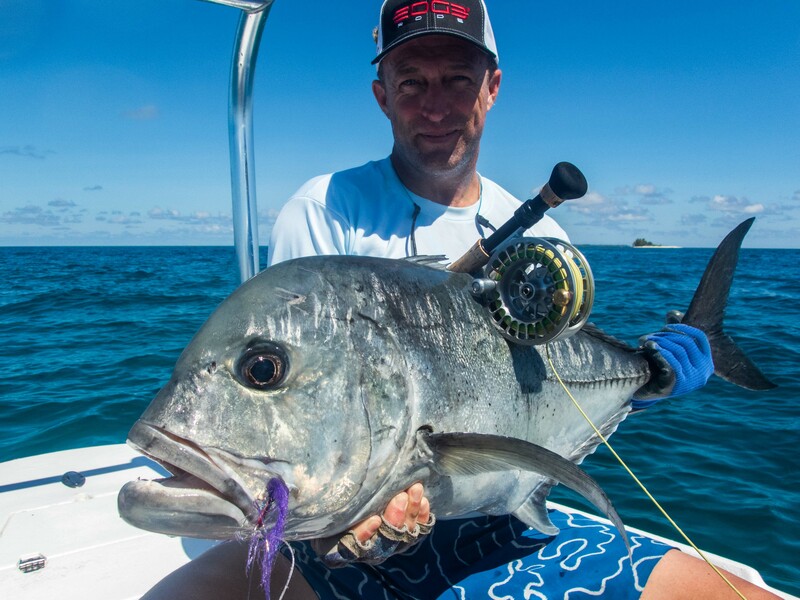 The GT crown for the week goes to Wesley who landed a brace of GT’s, the first of which came on the last cast of the day proving it is always worth having one more cast! 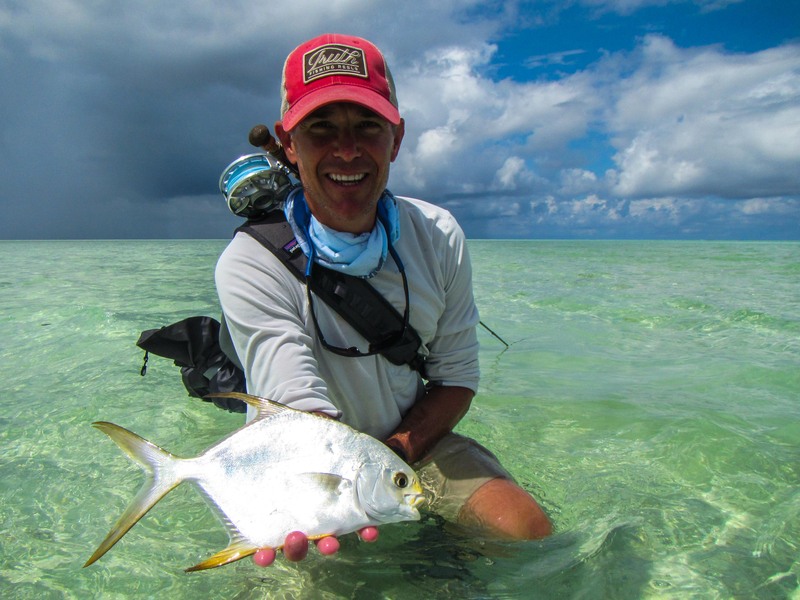 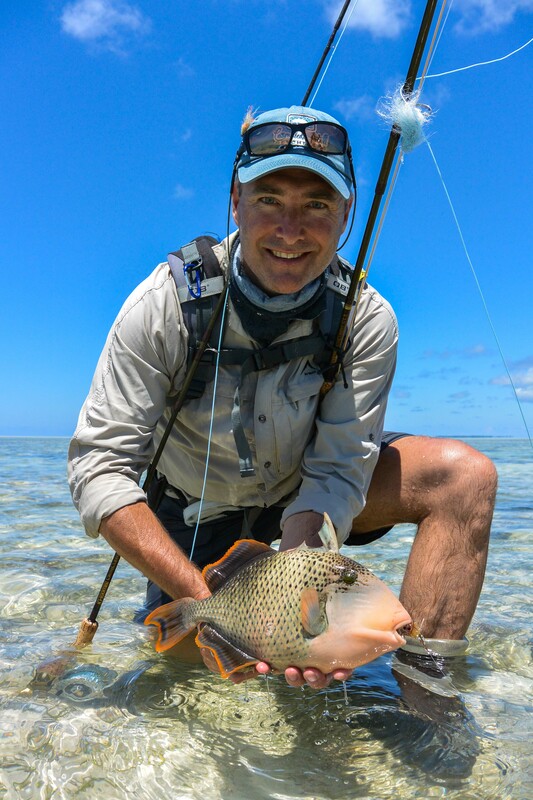 Lake was fortunate enough to catch the holy grail of fly fishing, the Indo-Pacific permit. 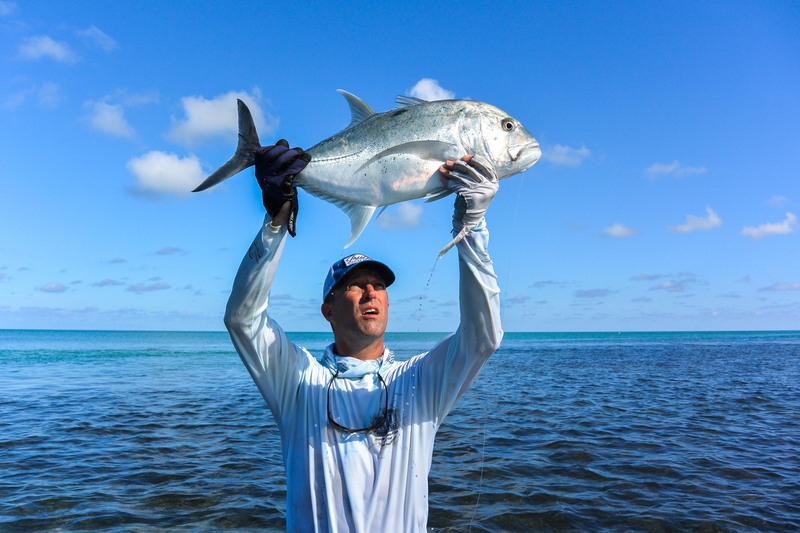 What made the experience even sweeter was the fact that he spotted and hooked the fish completely un-guided whilst fishing for bonefish. 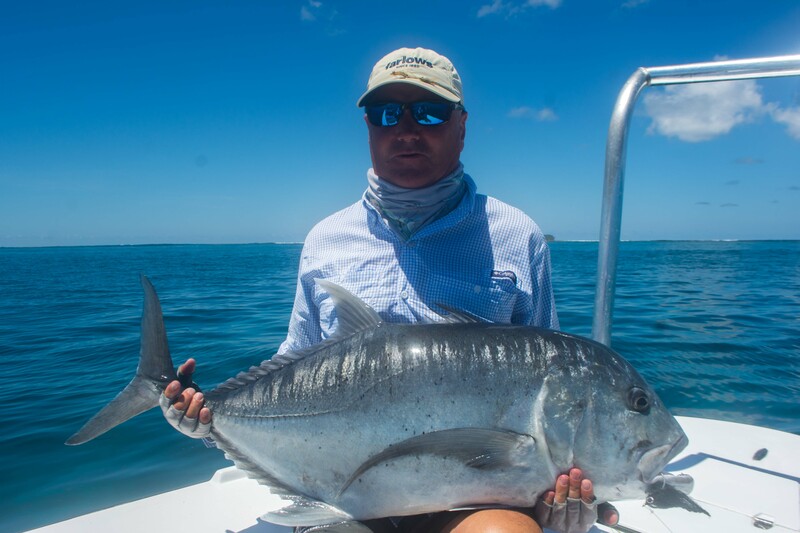 Craig J. was also privileged enough to hold his first of these magnificent fish when he landed a huge specimen estimated at 16lb on the Western sand flats. 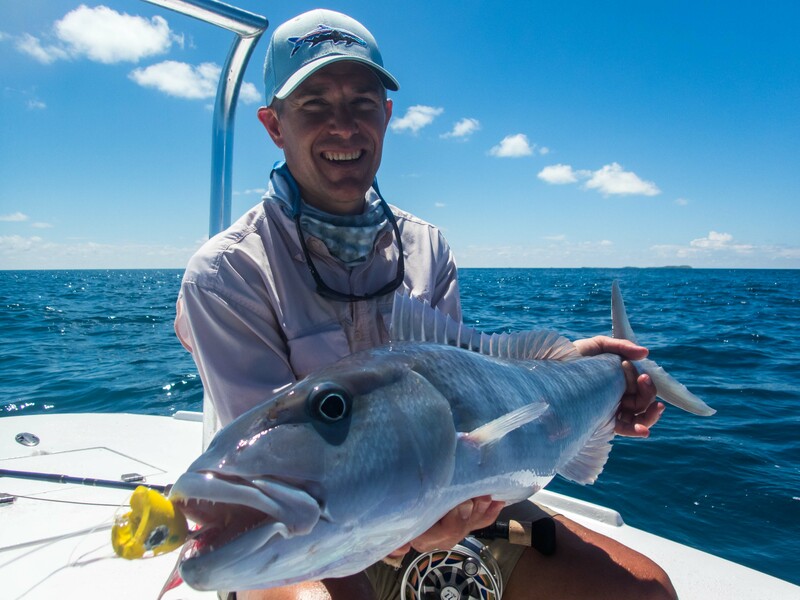 The biggest GT of the week went to Vladimir R. who landed a whopping 106 cm fish. 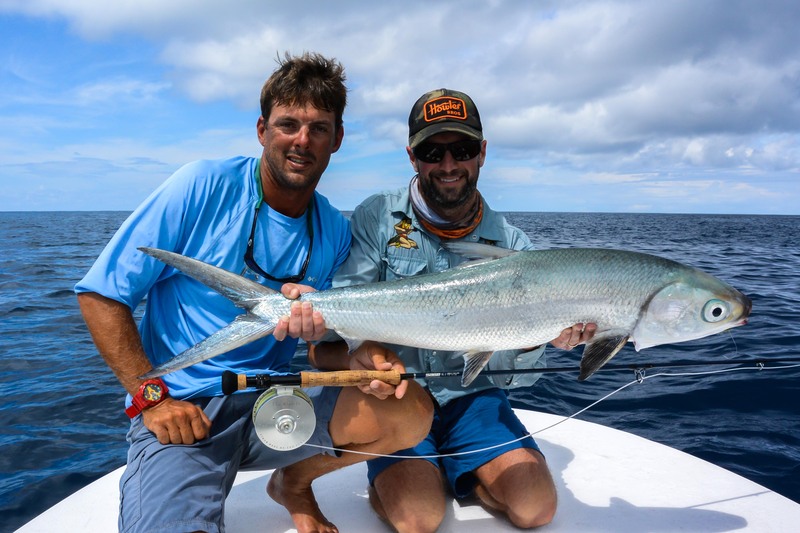 Despite numerous milkfish hookups there was only one fish landed and that was by Cole C. who after an hour and a half fight subdued a huge 35lb trophy. 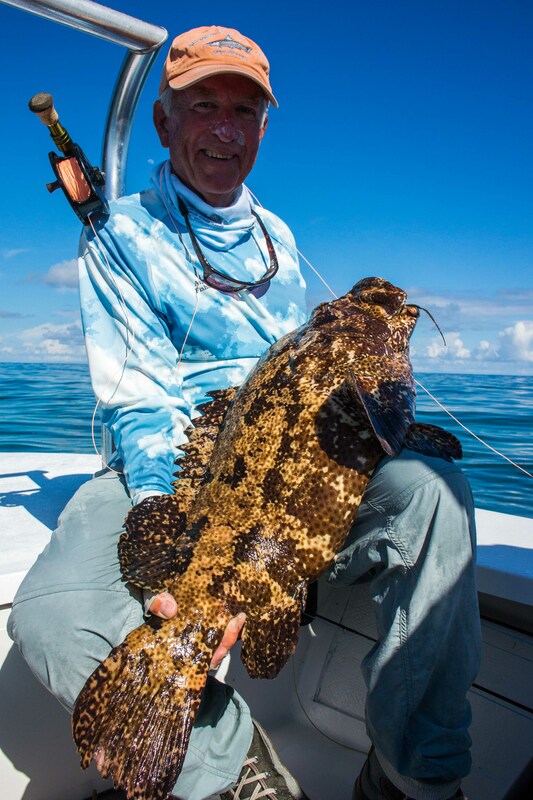 The diversity of the fishery was highlighted by Bill T’s unusual catch in the surf on the last day. 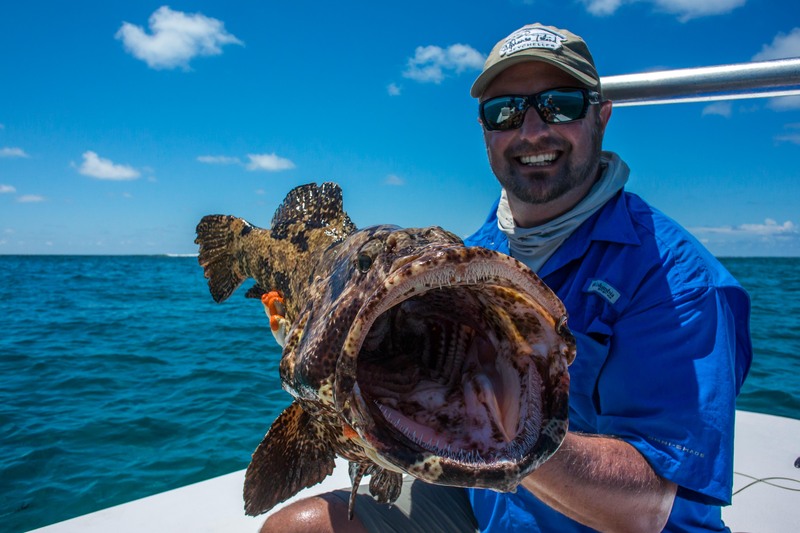 Bill landed a monstrous honeycomb grouper which slowly swam up to the brush fly, inhaled it and proceeded to shoot off into the deep before finally being brought to hand. 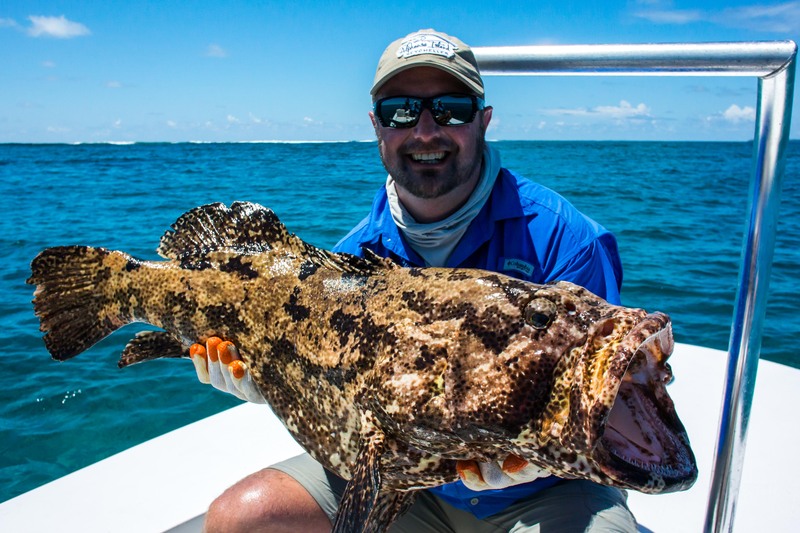 The fact that you never know what you will see in the next depression or behind the next coral head is what makes this place so special and unique. 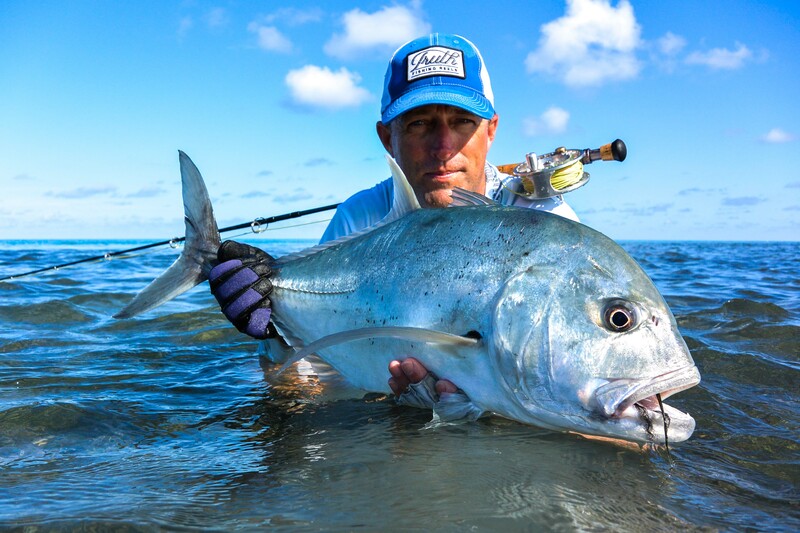 All the best and tight Lines from the Alphonse Fishing Co. team at Alphonse Island. 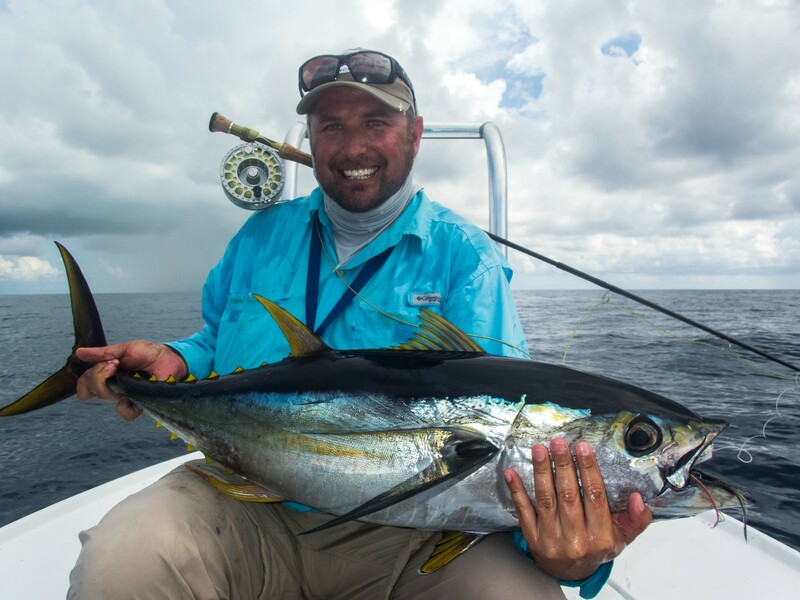 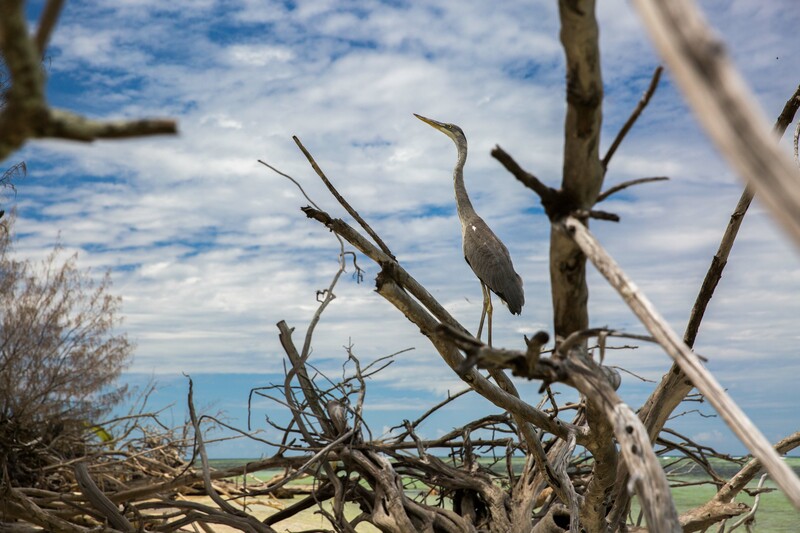 See more images and read the latest fishing reports of Cosmoledo and Astove Island.